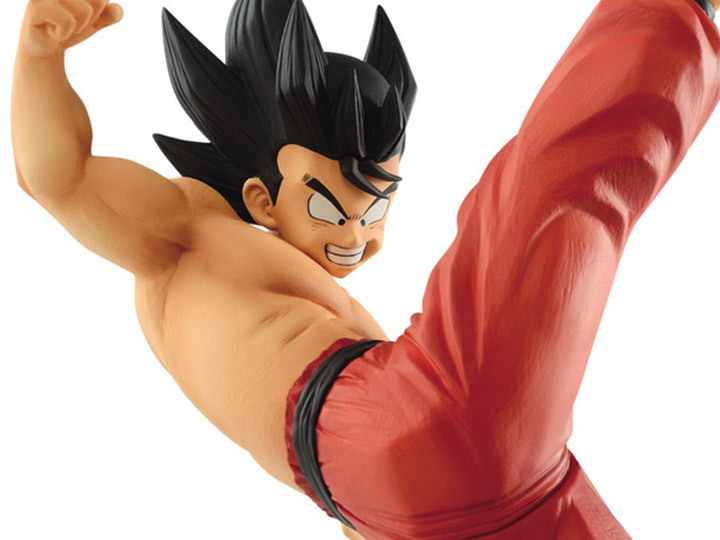 Take a trip down memory lane, more specifically to the 23rd World Martial Arts Tournament in Dragon Ball! 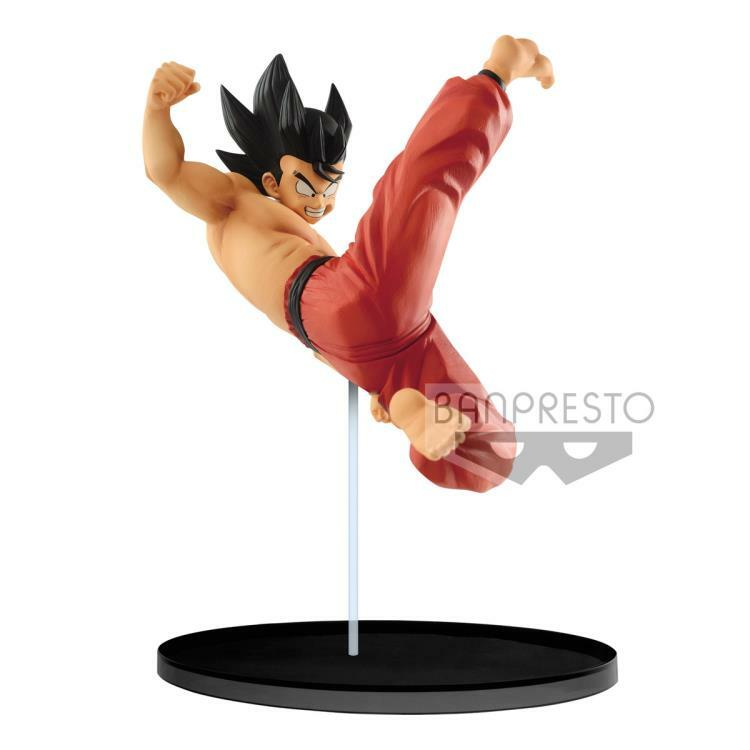 This expressive figurine, made by Banpresto, features a grinning Goku as he prepares a devastating kick from above. Only Goku could get such enjoyment from a fight! 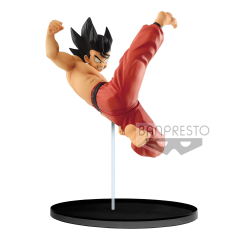 He reaches a height of 4.7” and comes with a black circular base. Pair him with the matching Ma Junior figure from the same series to recreate their intense fight in your collection!